Count Your Blessings Daily B. O. M.
This Wool Applique B.O.M. 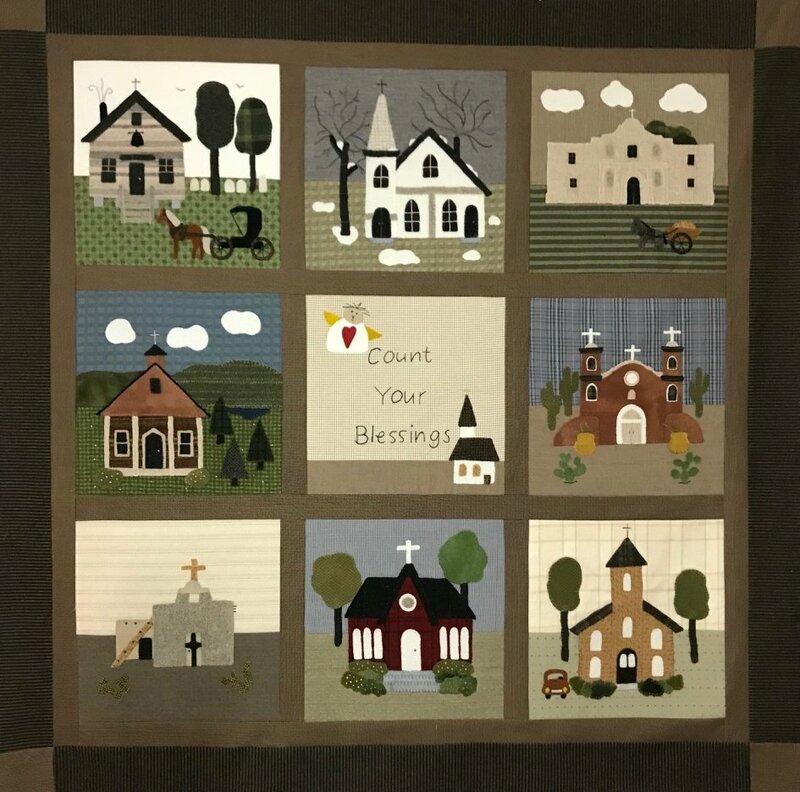 quilt is called Count Your Blessings Daily. The duration is for 10 months. The price for each month is 33.45 which includes shipping. The finished size of the quilt is 48" X 48". Each month for 9 months you will receive 1 Block with the directions, wool, background fabric for that Block. The 10th month you will receive the Finishing Kit which is Sashing, Border and Binding fabric. Note ** Background fabric and Wool may not be the same as the photo but similar. I will try my best to get the same. Shipping will be the 2nd Friday of every month for 10 months.